Tree House, Chapter 2 — Tree House Brewing Co. The beautiful new kettle in action. I finally have a few minutes to sit down and recollect the first and second brews in this, the newest incarnation of Tree House Brewing Company. The early days. Fist bump. First, some numbers. 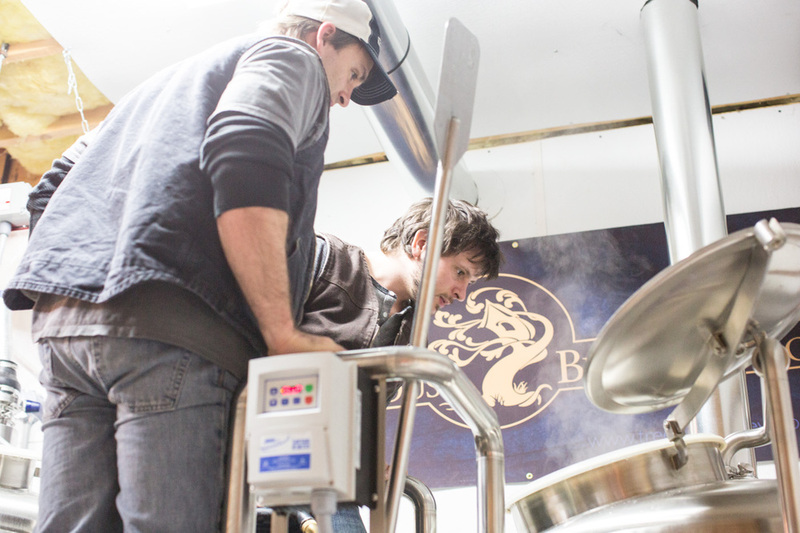 Since we received the Brew Magic 13 months ago, we brewed 218 batches of beer. This amounts to roughly 70bbls. . . ten measly gallons at a time. Some of this was sold at retail, some of it was tested by friends prior to the retail opening, and some of it - 0.009% - went down the drain. It took roughly 6104 pounds of malted barley to make it happen and 109 pounds of hops. We collectively spent 7,000 hours in 2012 building Tree House, and that includes just the founders - not the generosity of our friends and loved ones. Dean made 476 crappy jokes. And 1,024 funny ones. I pulled out 128 hairs. Damien built 579 things. And Jonathan paged the mothership just once. Because let's be honest. . . That's all it takes. And now, with a fully operational 5bbl brew house, we’ll do all of the above - constituting 70bbls - in five to six weeks. 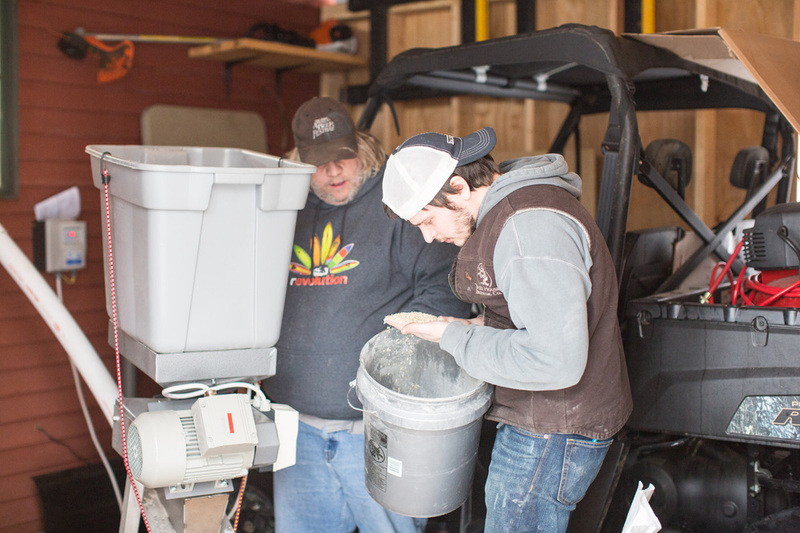 The road to mashing in the first batch of “Dirty Water” has been a long but rewarding one. We managed to maintain a single draft presence for almost all of our run leading up to Saturday until a keg of “Julius” lasted about six hours. Dead. Nothing to take it’s place. “That’s What She Said”, on deck, will not be ready until Wednesday. Kind of poetic that we saw our account run dry and outstrip supply literally on the day we fired up the brew house that will carry us for the next 1-3 years. We opened the retail shop as kind of a test around the same time we ordered our brew house, which came with a six month lead time. We thought ‘hey, why not put some beer out there to grease the wheels a bit to prepare for when we have a real retail shop’. Little did we know that we’d begin to sell through 2bbls of beer in two hours and be forced to make drastic changes to the way we controlled the filling of bottles by refining our queue, buying more kegerators, offering 'order cards', and making our mouths hurt with the number apologies and in conveying the deep respect we have for your patience. We can't thank you enough for the support you've given us as we've worked out the kinks. It all led to January 19th, an unassuming Saturday which saw the retail shop run out of "Julius" in forty minutes to the dismay of travelers both near and far. Sigh. Can't imagine a more fitting day to produce 15x as much "Julius" as usual. 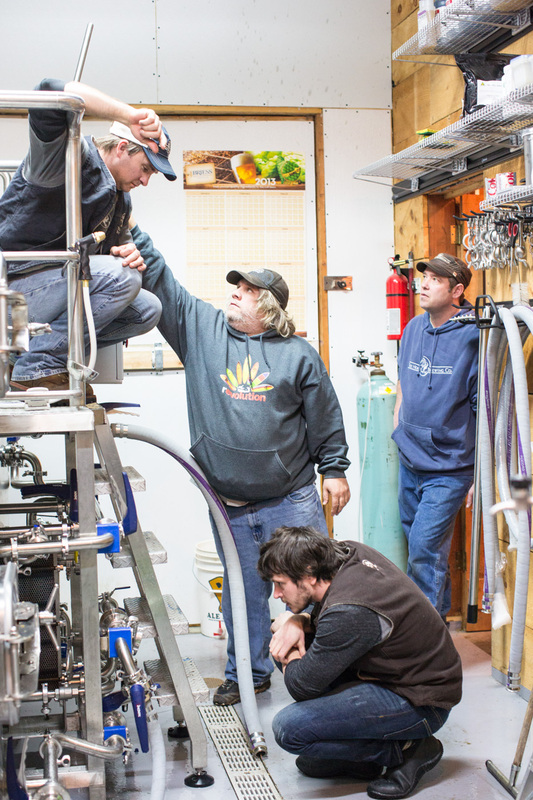 Alan, a gentleman from Premier Stainless in California, was around to assist us with our first brew. 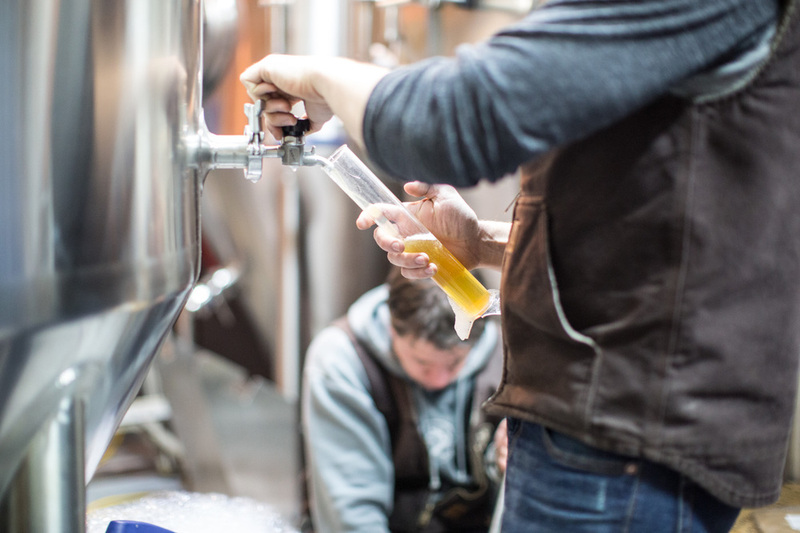 We chose to brew "Dirty Water", a dead simple American Blonde Ale, so that any potential catastrophic failure during the brew would be a less painful financial loss. This is where the story gets less interesting. With Alan's expert help and a brew house that was remarkably intuitive, we executed an almost routine brew without missing a beat. 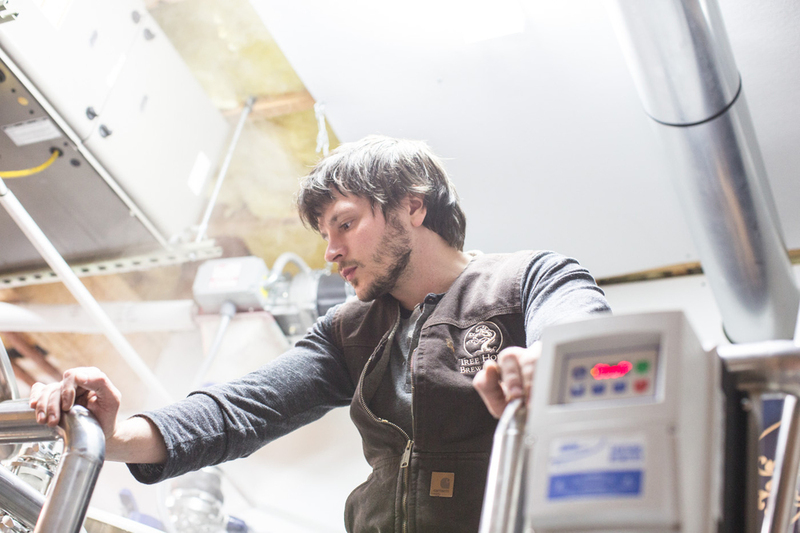 We had a boil over, which is quite a thing on a 5bbl brew house, but nothing we couldn't handle. We were slightly low on our anticipated expected extraction rate, but again, that's why we did this first brew - to lock in our numbers. And into the fermenter "Dirty Water" went. Only good jokes. No hair lost. A few things built. No mothership to speak of. We celebrated a relative success with a cellared "Immort Ale" given to us by non other than Sam Calagione. A generous gift and drinking marvelously! Assuming we have a successful fermentation, "Dirty Water" should be available for Super Bowl Sunday in vast quantities. I hate to make any promises, because the beer owns me - not the other way around - and will make those decisions for me. But please stay tuned - because if it IS ready, you're certain to hear about it in this space. We are so excited to have more beer! We are so excited to give the latecomers a taste of what we've been working on! 2L growlers should be in soon. Larger bottle limits. More handles of Tree House around. Hell yes.